Looking for a way to respond to rising incidents of violence and intimidation against members of marginalized communities? Each of us has the power to stand up to discrimination wherever we see it. Here are five ways you can take action to create sanctuary in our streets. 1. Help to promote "Sanctuary Everywhere"
Spread the message of "Sanctuary Everywhere" by downloading and sharing our signs and social media graphics. Use them for actions, display them in public spaces, or share them with your networks on Facebook, Twitter, Instagram, and other social media. 2. Intervene to stop racist or discriminatory acts. What can you do when you witness public instances of interpersonal violence or harassment? Check out our "Do's and Don'ts for Bystander Intervention" guide to intervene while considering the safety of everyone involved. Watch a video recording of our "Bystander Intervention" webinar to learn more. 3. Learn how to spot police violence and harassment. 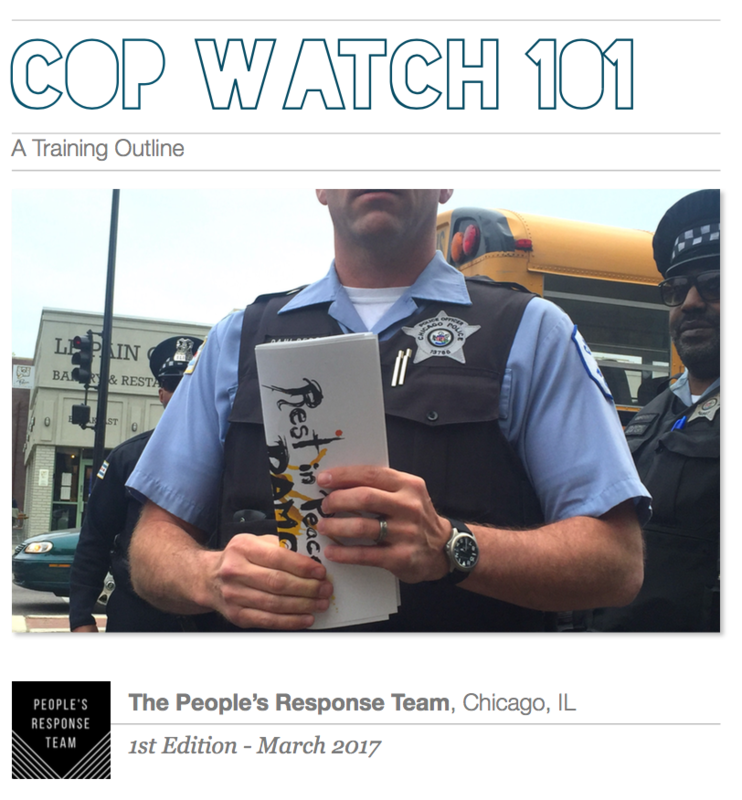 Get trained on "Cop Watching 101," a curriculum by the People's Response Team in Chicago. The training helps the average person learn basic cop watching laws, methods, and safety considerations while taking part in this form of bystander intervention. 4. Display posters for resisting racism and bigotry. Print and display these posters (available for free download) in schools, community spaces, businesses, at protests, and more to assert anti-racist, welcoming spaces. Also, use these images alongside our crowd-sourced K-12 discussion and activities guide. 5. Share our "Know Your Rights" guide for immigrants. Get AFSC's "Know Your Rights as an Immigrant" resource on our rights at home, at work, on the road, in detention, and more. Share this resource (in English and Spanish) online or print copies to distribute in your community. Read more about how communities are responding to immigration raids and enforcement in this Q+A with Pedro Sosa, director of AFSC's Project Voice Immigrant Rights Program in Oregon and Washington. Also, access other "Know your rights" resources from Immigrant Legal Resource Center, United We Dream, and the ACLU. 6. Help to disrupt immigration raids. Learn how to "Defend Against ICE Raids and Community Arrest" with this extensive toolkit, prepared by the Immigrant Defense Project and Center for Constitutional Rights in response to the Trump administration's efforts to criminalize communities and deport millions of people.